Our annual medtech edition is back for May 2017. This edition covers medtech partnering trends, reviews diagnostic deals from last year and showcases a number of companies looking to partner in the medtech field. 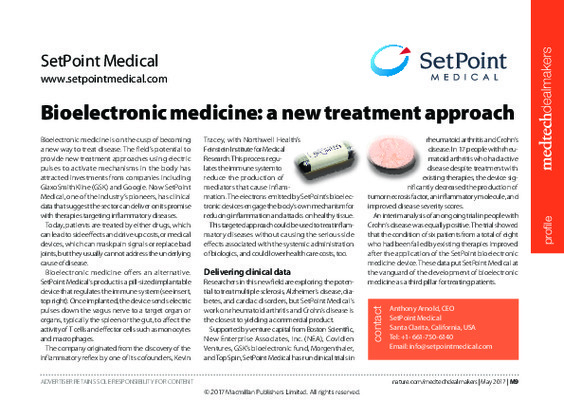 Read our annual Medtech edition.